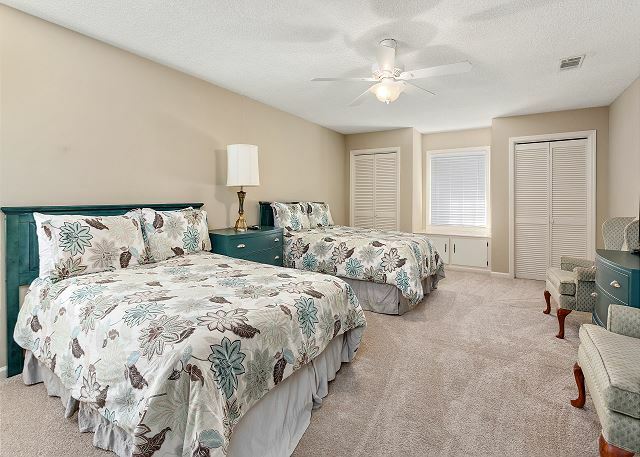 The Master Bedroom has a King bed with en suite, and there are two additional bedrooms that share a full bath with a King, and two Full beds. There is also a sofa sleeper for additional guests. 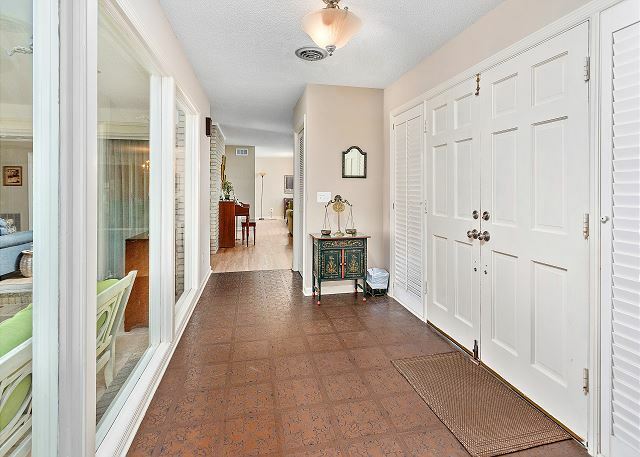 The sun room is very large and overlooks the shaded back yard. There is wireless internet, a charcoal grill for your use, and the home is dog friendly (15 lb limit). Wonderful older home in established quiet neighborhood.Well furnished with plenty of room to roam. Loved the very private back yard.Enjoyed ourselves so much we added an extra day to our stay. Management staff was very pleasant and accommodating. More than enough space for our family. Great location. Loved watching the evening sunsets over the marsh. Perfect family home. 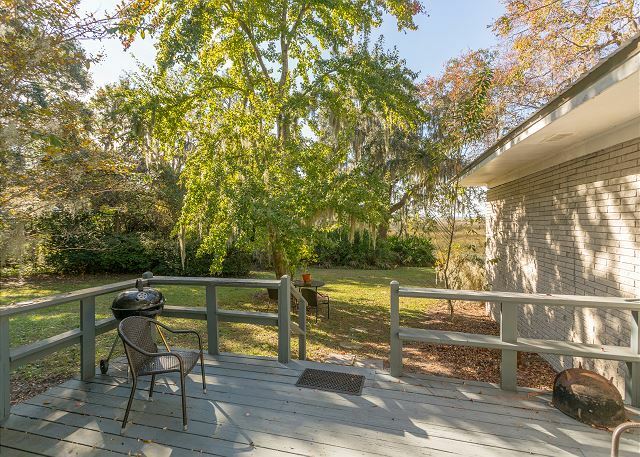 Loved the beautiful marsh views and outdoor patio and deck. 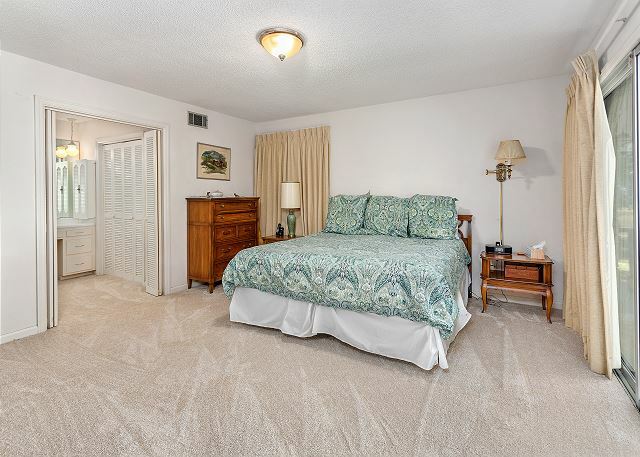 Comfortable beds and plenty of fluffy towels. Kitchen well equipped. We live be this home. This is our third trip and we already are booked for 2 more trips. 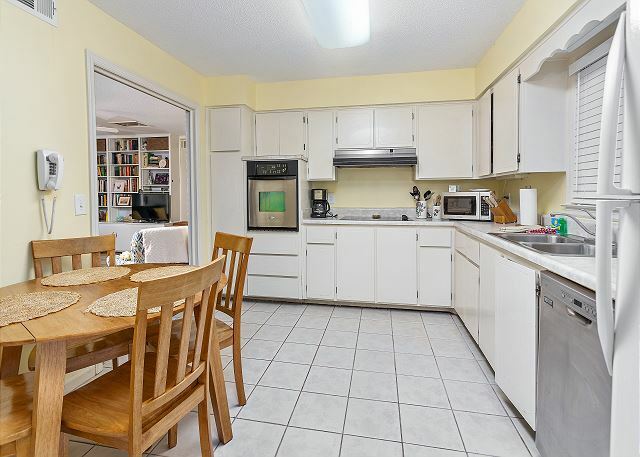 This is a spacious home with a great layout for families. Its close to everything but quiet. I loved watching the sunsets over the marsh. We will be back! Overall, very nice. 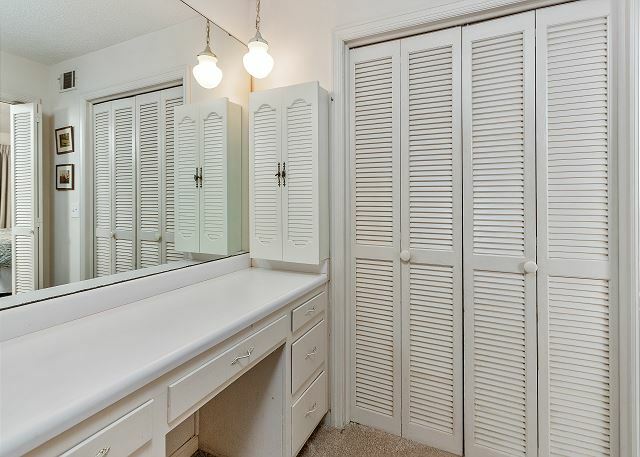 Needs a few things right away. New bathtub faucets and fan in enclosed lanai did not work. Otherwise pretty nice. This is a spacious and well-equipped house in a peaceful location, with a fine view of the marsh and daily boat activity. 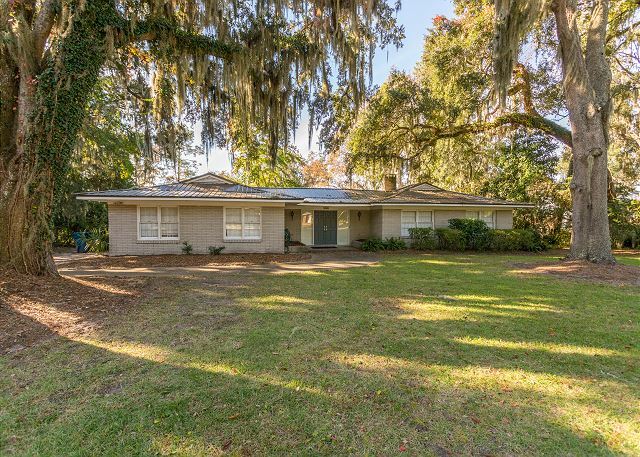 While taking daily walks around the quiet residential area was enjoyable, the village of St. Simons and other attractions were within easy distance, and the property manager was most welcoming and responsive to questions and "house" calls. All in all a fine stay and recommended for a family or a group of friends. The location and price was good. The property was very old, which is fine, because the price was inexpensive. But, with a little bit of love and care, the property would be better. Personal affects could be removed - a bit creepy. The garbage cans were filthy and the house was not very clean. A lot of mold and mildew hiding and garage very dirty. 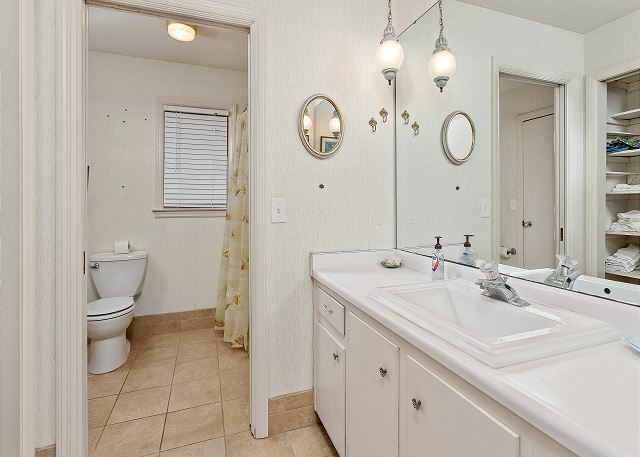 The linens and bathrooms were initially clean, but the grout a bit dirty due to the age of the home. The stair leading to the back yard was also broken and dangerous. With a little care and fixing up, the property would be nicer to stay at. Overall, we did have fun and made the best of our stay. 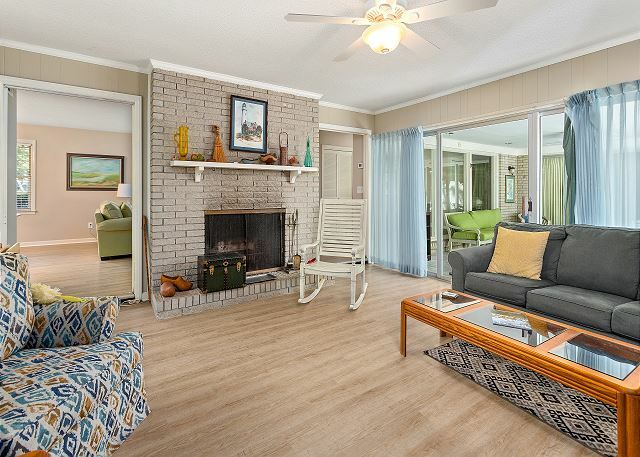 Marsh Oaks was set in a beautiful location overlooking the marsh & is situated in a safe, well-kept, & quiet neighborhood. The household was an older residence & It's furniture & decor reflected such. The AC did not work well & it seemed somewhat damp & stale inside at times but as my family stayed in October it was cool so we had the windows opened at times. The Interior & exterior of the residence would need to be renovated before my family stayed again for the same amount of money we paid. My family is an outside & adventurous kind if family- this residence is just the right fit for us- just a bit dated. The management company DID NOT deliver on promises. The house is in need of many updates, but the real problem was all the bugs. We called the next day to have it taken care of and had many broken promises on services and services times. 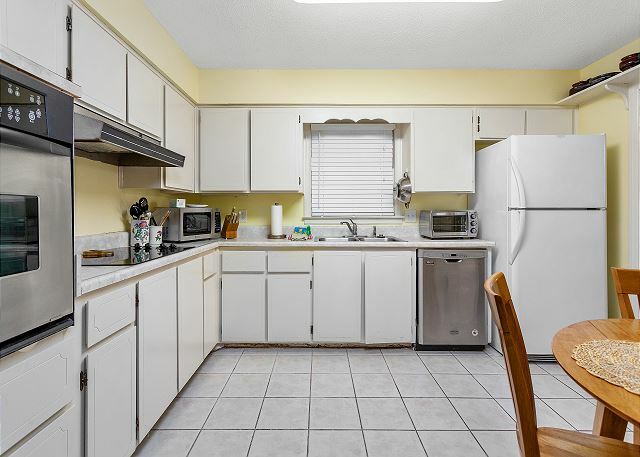 Great location but i wish they would update the pictures online of the property.We had to go buy frebreeze because the smell of cat urine its a nice house just needs a little tlc. family for a visit. Lots of room and plenty of space. We enjoyed the sun room especially. The carpet in the living room needs to be replaced but most of the rest of the house was in good shape. Yard was keep up nicely. The sunsets over the marsh were beautiful.